This is a traditional payasam recipe from Kerala which is made with rice flour, jaggery and coconut milk. I have replaced rice flour with with oatmeal. The taste is just the same.You must try out this healthy version. 1. Grind the oats to a fine powder. 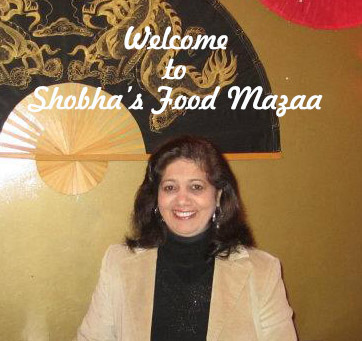 Mix water to make a smooth dosa like batter. 2. Take a banana leaf and cut into big square pieces. 3. 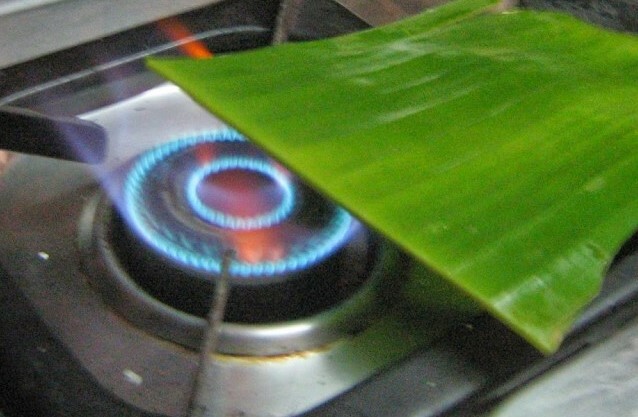 Heat them over the flame to soften them a bit to make the rolling easy.You may use foil paper if you can't get banana leaves. 4. Spread batter with a spoon leaving the edges like you spread a dosa. I have used foil today. 5. Roll them carefully and seal the foil paper edges. If using banana leaves tie them with threads. 6. Steam them in a double boiler for 10 - 12 minutes. 7. Immerse the rolls into chilled water. They will easily open up after this step. 8. Remove the steamed ada strips from the water and set aside. 9. Now boil the jaggery with water and remove the scum. Strain to remove the impurities. 10. Now cut the ada strips into pieces and add the steamed ada and cook until done. Add cardamoms while cooking. 11. Stir in the coconut milk and simmer until you get the desired consistency. 12. 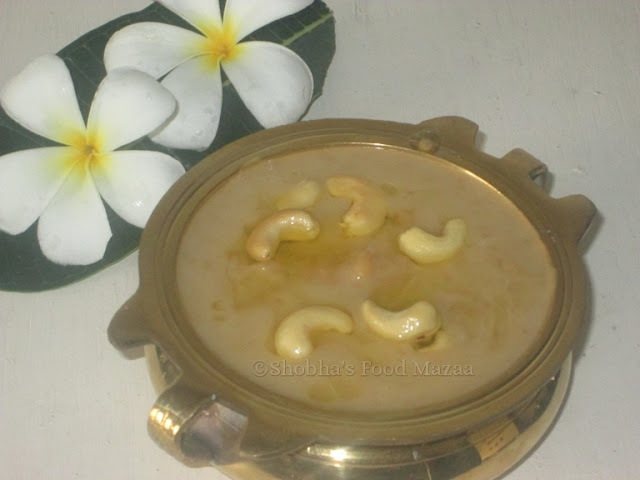 Heat ghee and lightly fry the cashew nuts and add them to the pradhaman. This is indeed a very new recipe and cooking technique for me. Is the consistency smooth or do you have pieces that you have cut from the steamed rolls?? I've been making vegetarian Indian food a lot lately, and this looks like one my friends would devour!